I needed an app to slow down my high definition high frame rate videos and this fit the bill perfectly. Absolutely flawless and smooth slow motion capabilities. Incredible app, props to the developers. I had this 1 1/2 hour long video and was looking for an app to speed it up. I found this after a minute or two of testing out ones that didn't work and this is amazing! I put the speed as high as it could go for every bit and it was shortened to 19 minutes! Keep in mind that it took less than ten minutes for it to save and it was 1 1/2 hours long! Incredible! 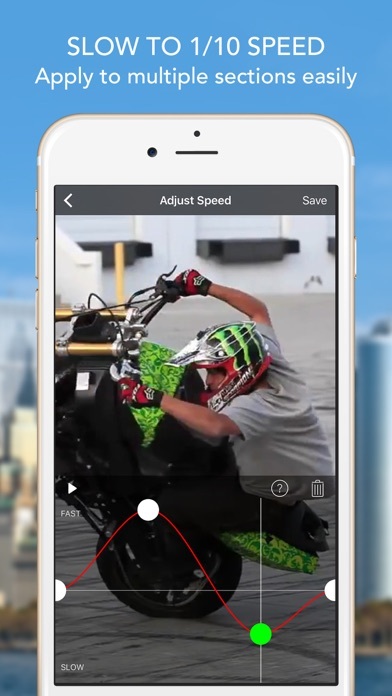 If you want to speed up or slow down your video, use this app. 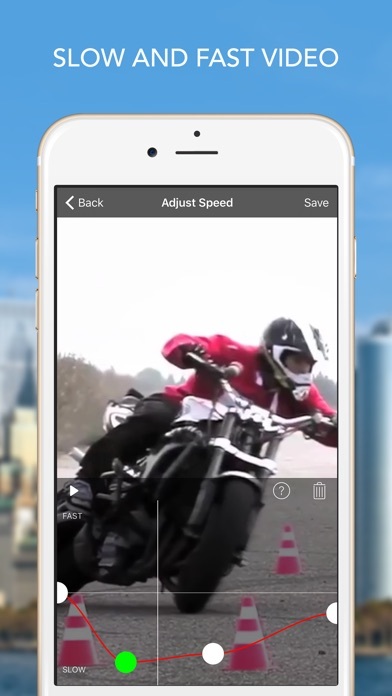 This is a no frills app to speed up and slow down video..... and it does it very well!! 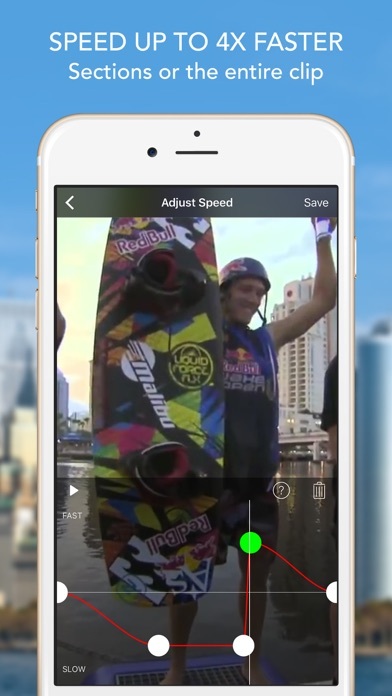 I like this app because it’s free and allows me to edit any kind of video.